I Signed Up For Another 5k…..What?! That’s right folks and I can’t believe it either! 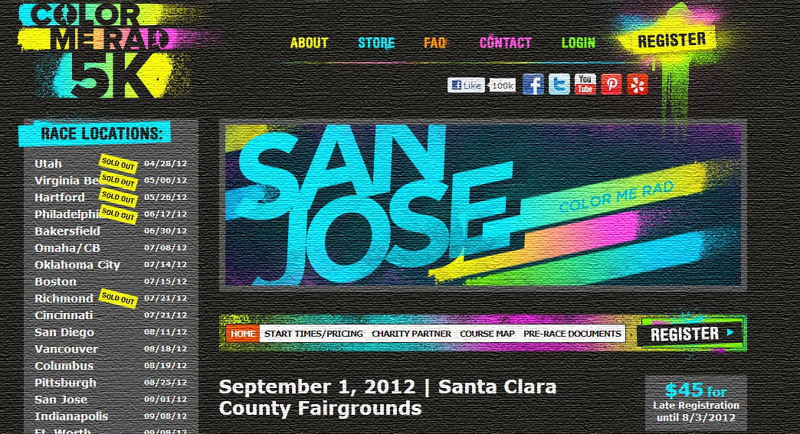 September 1st, just a week and half before my 3.5 mile race (which was supposed to be my first race ever) up in San Francisco, I am doing the Color Me Rad race with M! I am stoked to be colored rad and look like a bag of Skittles when I am done. 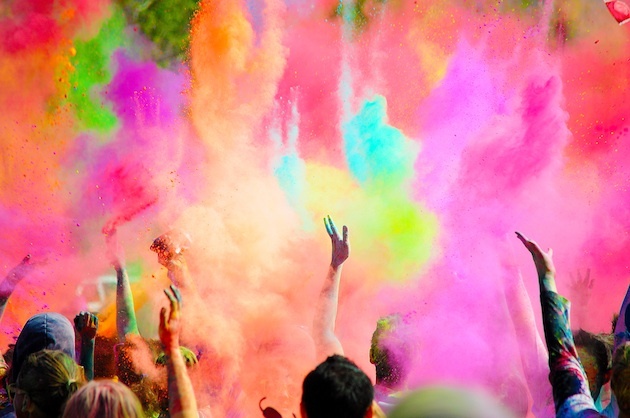 You run the 5k and every km people chuck paint at you! Crazy huh? Well it’s not really paint, it’s colored corn starch but gives the same effect! You show up in all white and leave looking like a box of pastels crayons. Just take a look for yourself at these photos. It is going to be awesome. 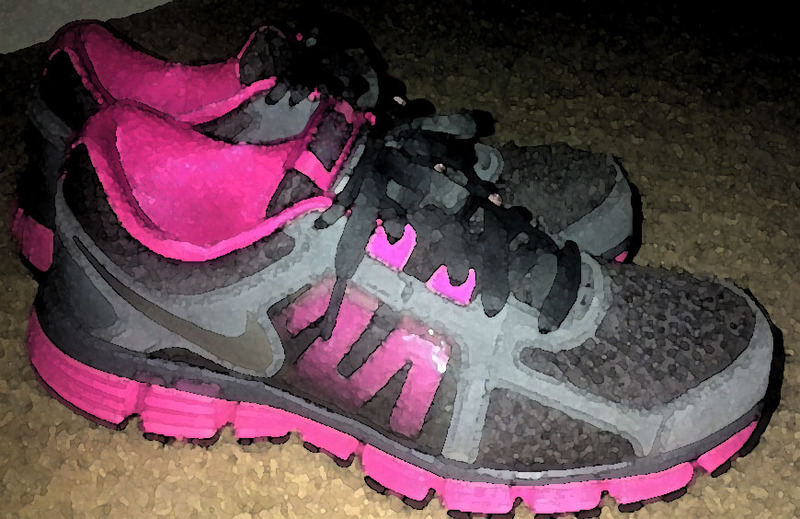 And more exciting news….I finally got my new running shoes. I played around with Photoshop and altered the photo but look how cute they are! They are Nike Dual Fusion women’s running shoes in metallic silver and desert pink. I ran with them tonight and my first impression was, WOW am I running on Jello? They are so comfy and they have little vents or maybe it is the mesh in the front, but my toes get air and circulation and it feels oh so good! Can’t wait to put some more mileage on them! Posted in Posts and tagged 5k, Footwear, Nikes, running, San Francisco, Training. Bookmark the permalink. As far as shoes go, I’m a fan of Asics, but it totally depends on your feet. For me, I slightly under-pronate (run on the inside of my feet), so I need a neutral shoe, with not too much padding and good arch support. I also have small feet and Asics run small/narrow, so that works for me. Good luck with your 5K. I will never forget my first one. Since then I have run 2 5k’s, 1 10K, a 5 miler and 1 half marathon. I’m signed up for another 5K and 2 half marathons yet this year. Be careful . . . it’s contageous. I’m contemplating on doing this run in Denver! It looks so fun! As for the shoes, I swear by Asics – I won’t buy any other brand since they work so well for me.